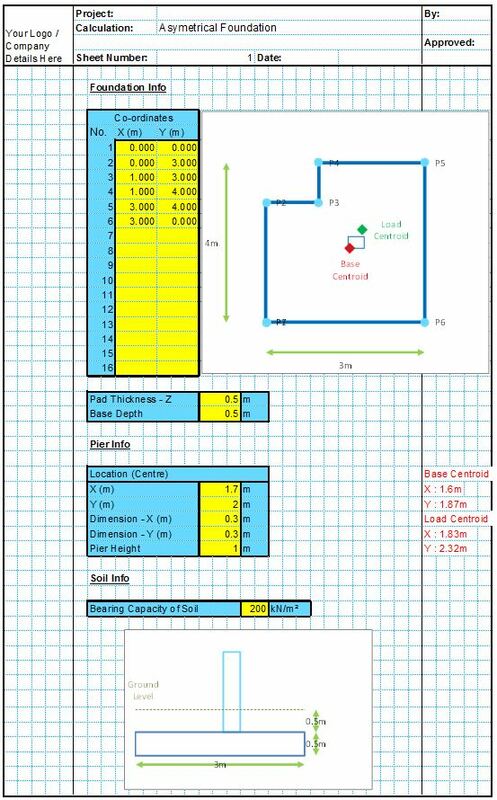 Analysis and design to BS8110 or EC2 of an asymmetrical single spread foundation. 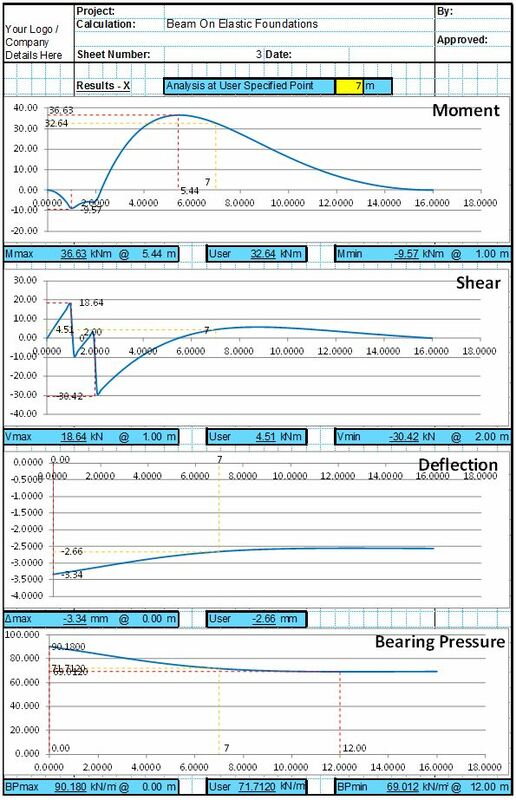 Analysis of a flexible beam or section of foundation on a Winkler foundation. 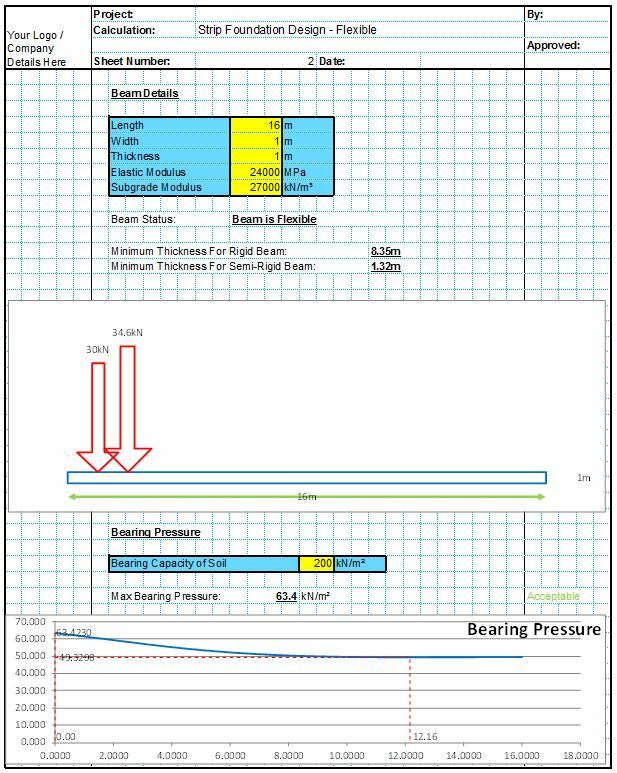 Bearing capacity analysis spreadsheets utilising 7 different methods to account for different soil types and site investigation data. 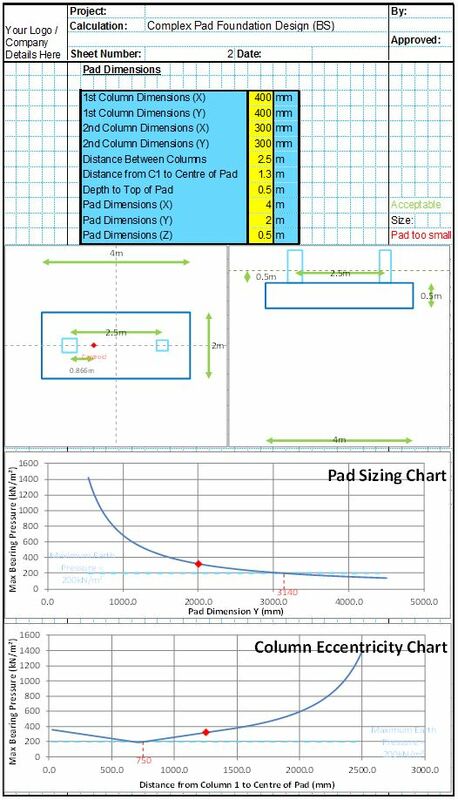 Analysis and design of complex combined pad foundations to BS8110 or EC2. 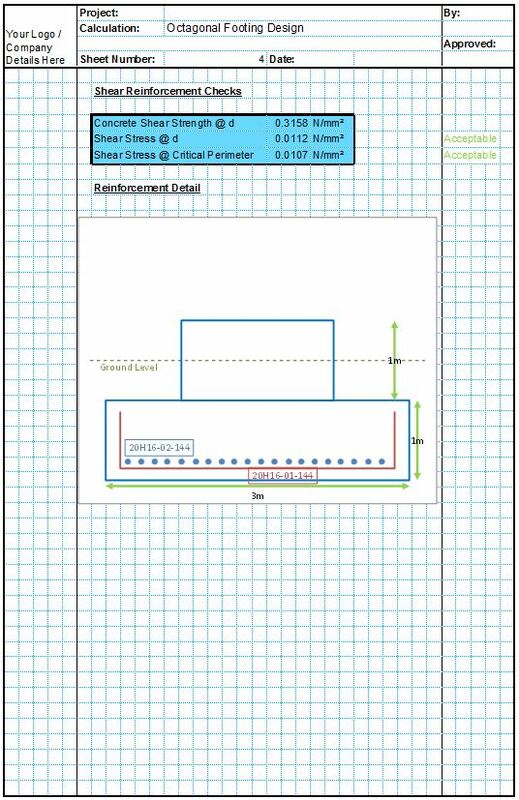 Design spreadsheets to BS8110 or EC2 for mat or raft foundations, including both rigid and flexible analysis. 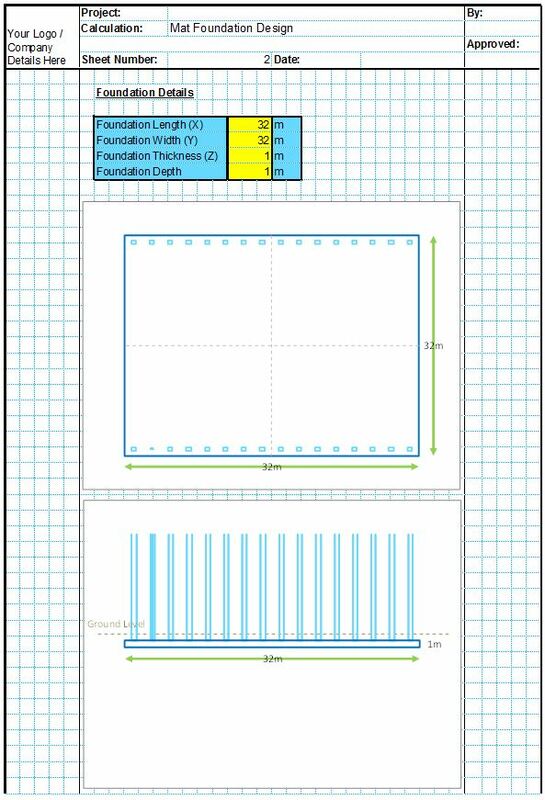 Analysis and design of Octagonal shaped single pad foundations to BS8110 or EC2. 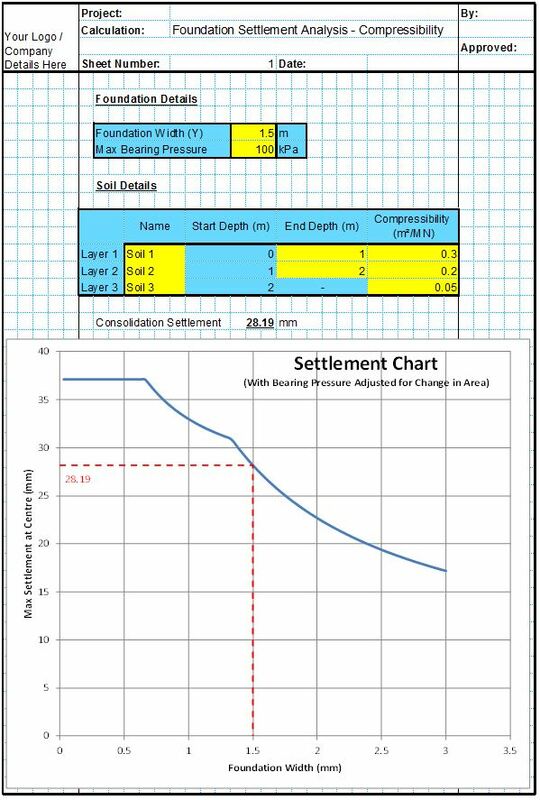 Foundation settlement analysis spreadsheets using 9 different methods to cover different soil types and site investigation data. 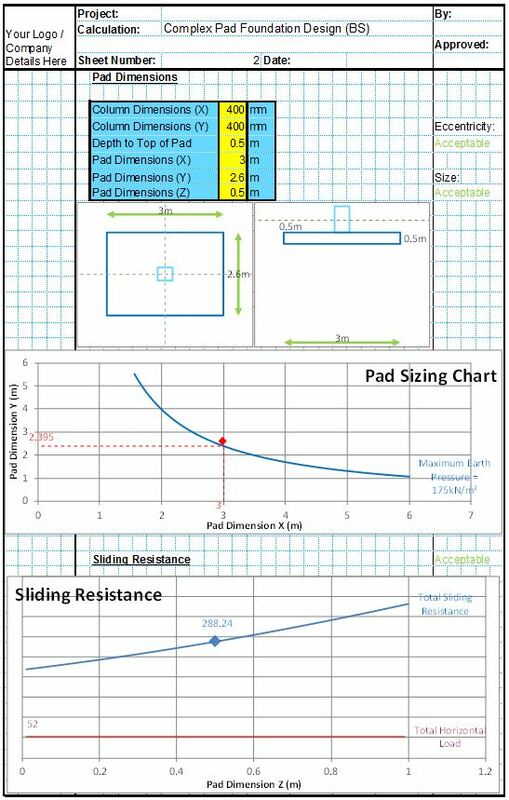 Analysis and design of simple and complex single pad foundations to BS8110 or EC2. 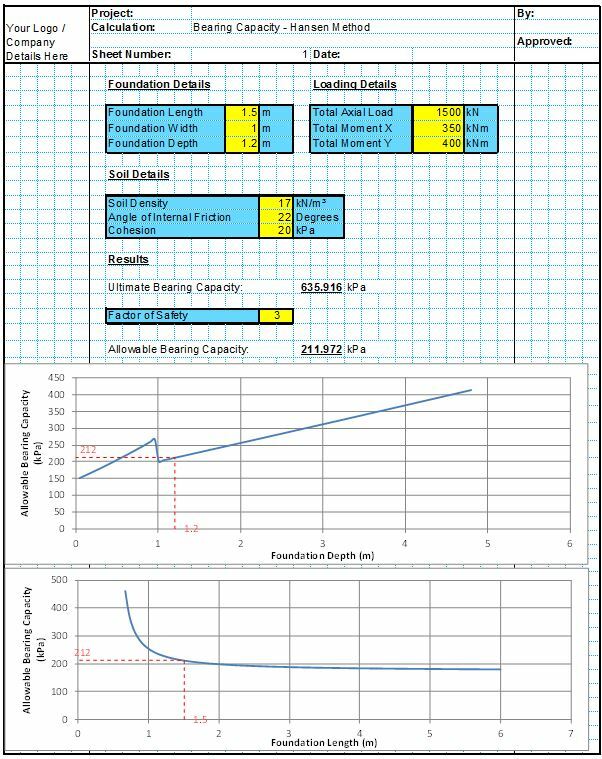 Strip or continuous foundation analysis and design spreadsheets to BS8110 or EC2.